Get the Full StoryAfter over a year out due to a leg injury, Robbie Lawler enters his fight at UFC 235 with Ben Askren feeling stronger than ever. 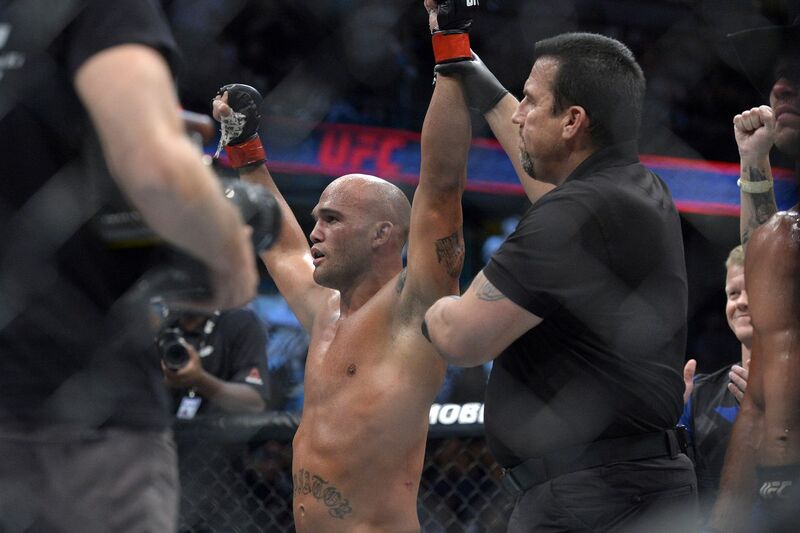 After over a year away from the Octagon due to a leg injury, former UFC welterweight champion Robbie Lawler says he is feeling better than ever ahead of his fight with Ben Askren at UFC 235. I didn t know why the injury happened or how it happened. I just knew that it was gonna be a blessing. As soon as it happened, I was laid up in my room with my leg elevated, thinking I m gonna make the best out of this injury. That s what I did. I got back to the grind, started working, didn t rush anything. Got to spend more time with my family, which was huge. Got to work on other aspects other than just fighting. And I got to start from the ground up, Lawler said. Basically, I could barely walk. Then it was just like start building, start from scratch. How can I get better? After winning the welterweight title back in his rematch with Johny Hendricks, the 36-year-old successfully defended it twice before losing to Tyron Woodley in July 2016. Lawler will hope to pick up his first win in over 18-months against Askren at UFC 235, as the Ruthless one hasn t been in the win column since defeating Donald Cerrone at UFC 214. My body is stronger than it s ever been before, Lawler said. I would say I m a better version of myself. I ve had room to grow. I ve just had time to reflect and I m building. I m trying to get better in all aspects, not just fighting. I m trying to learn and trying to develop different parts of my life. That s what I ve been doing the past year and that s what I ll continue to do it. It s just evolution and trying to get better in every way. UFC 235 takes place this coming weekend, March 2nd, at the T-Mobile Arena in Las Vegas. Headlined by a light heavyweight title fight between Jon Jones and Anthony Smith, a welterweight title fight between Woodley and Kamaru Usman will also feature on the card.